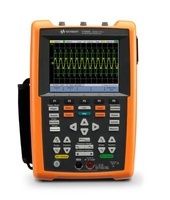 This LED flashlight is designed for used with Keysight handheld digital multimeters. The LED flashlight helps make measurements easier while using handheld digital multimeters in dark places. Clip the 3 inch flash light onto test probes and have great visibility on the test points effortlessly!